Government this week decided to extend the brand promotion scheme available for Sri Lankan-owned tea brands selling under the Pure Ceylon Tea label for 2018/2019, allocating Rs. 500 million. The extension of the scheme was approved by the Cabinet this week with a few amendments, Cabinet Co-spokesperson Rajitha Senaratne said yesterday. Under the scheme, eligible brands will have 50% of the promotional spend of their marketing campaign granted by the Tea Board, with a cap of Rs. 50 million. The decision was taken to ensure that individual brand promotions happen parallel to the Ceylon Tea global promotional campaign, as requested by tea exporters, Plantation Industries Minister Navin Dissanayake informed Cabinet when presenting the paper. Brands which have contributed to the promotion and marketing levy fund gazetted on 27 October 2010, and have demonstrated their ability to implement aninternational marketing campaign to penetrate new markets, sustain or increase the share in existing markets, or recover lost markets will be eligible. 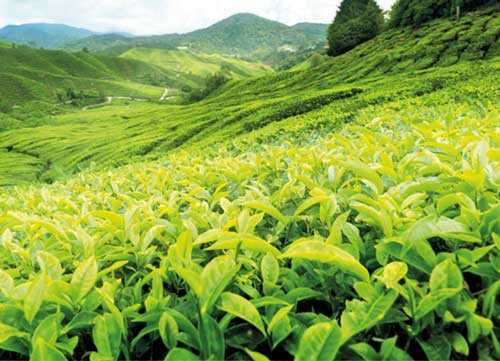 Further, brands applying for the fund should also have obtained prior approval from the Technical Evaluation Committee of the Sri Lanka Tea Board for their brand promotional plans to qualify. These should contain tested methods of Above the Line (ATL) and Below the Line (BTL) promotions, and advertising and social media targeted marketing strategies and objectives. Brands eligible for a matching grant should have achieved a minimum of 50% of the agreed export target, while securing 50% of the approved budget to qualify for the grant. Further, the Tea Board may consider partial reimbursement after six months based on the progress of the project. The Tea Board will take steps to monitor the promotional campaign projects, and requires the companies to submit quarterly reports. The companies obtaining the grant will also be required to submit documentary proof of exports and brand promotional spending, including certified copies of CUSDECs, and packing lists and relevant endorsements by company auditors as proof.